"How financial institutions secure identity while leveraging mobility and the cloud"
In the digital era, financial institutions need to meet and exceed the expectations of a new generation tech savvy users with digital broadband access to on-demand cloud-based services via a wide range of mobile devices. In order to earn customers’ trust and confidence in their digital channels, financial institutions will have to secure identity and manage cross-channel access while leveraging mobility and the cloud. 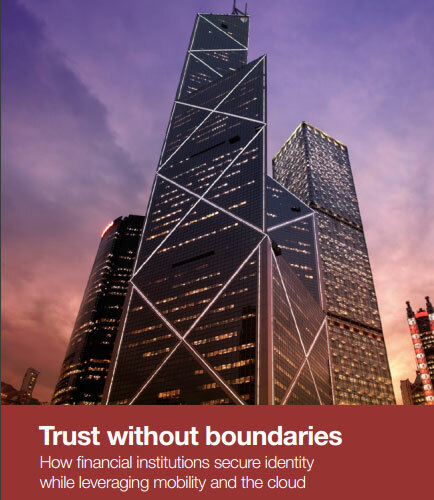 This whitepaper provides insights on how financial institutions can secure identity and data in a hyper-connected world where the data center perimeter has blurred and the enterprise attack surface has radically expanded with increased cloud adoption and mobility.